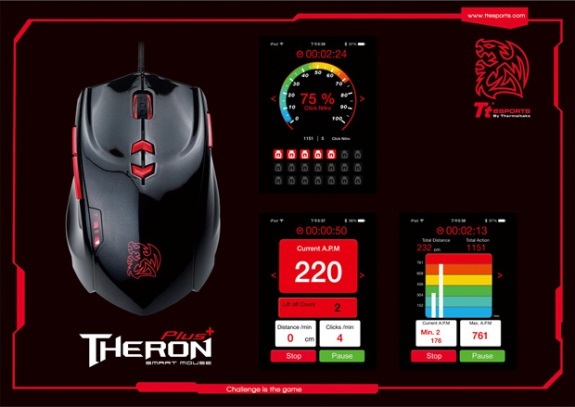 Tt eSPORTS shows off the Theron Plus mouse at Computex, a new rodent that claims to be world's first smart mouse. What makes this mouse special is that it can interface with your smartphone via Bluetooth, it comes with an app that lets you track clicks, travel distance and lift offs. You can then share these statistics via the Tt eSPORTS website. Whether this is useful is for you to decide. The mouse has a 8200DPI sensor and other than the smart mouse functionality it's identical to the regular Theron.